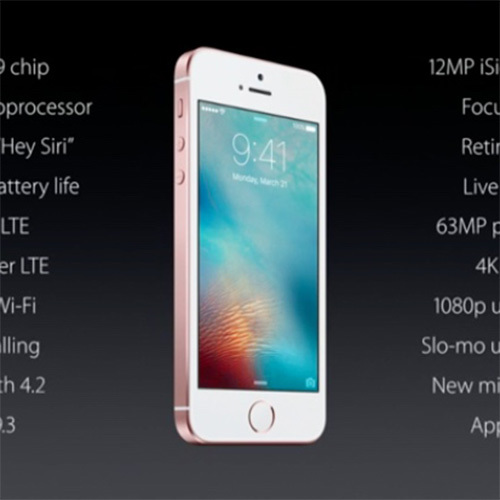 Apple is keeping the 4-inch iPhone alive by introducing the iPhone SE on Monday. The new iPhone model sports modern features and components, and isn't just a renamed model with outdated parts. The new iPhone SE includes an A9 and M9 processors, Touch ID, Siri support, a 12MP iSight camera, Live Photos, 4K video support, Apple Pay, and more. Pricing starts at US$399 for the 16GB model, and $499 for the 64GB model. Apple's media event is still underway, so be sure to follow along with our live event coverage.